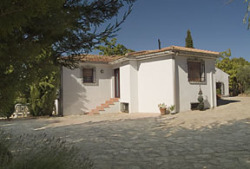 Only a short drive from the main motorway with easy access to both Granada and Malaga airports. 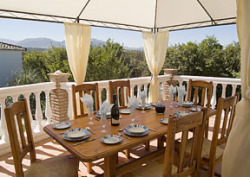 Both villas have their own garden areas, private terraces and barbecue areas. In the grounds there is a tennis court which is available for you to use during your stay at Finca La Bodega. The Sierra Nevada Ski Resort is only 45 minutes away by car. 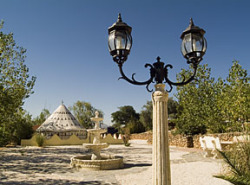 A desert tent is located in the grounds for undisturbed relaxation, reading, listening to music or we can arrange various soothing treatments. Each villa has its own gardens and terrace areas for sunbathing. Within the enclosed, safe grounds (ideal for children) is a large private swimming pool measuring 12m by 6m. Sun loungers are available for sunbathing days and a tennis court is available for activity days. Horse riding can be organised and mountain biking can be enjoyed.